Science fiction has become science fact as occult-inspired technologies work to create a grid totally controlling all life on earth. 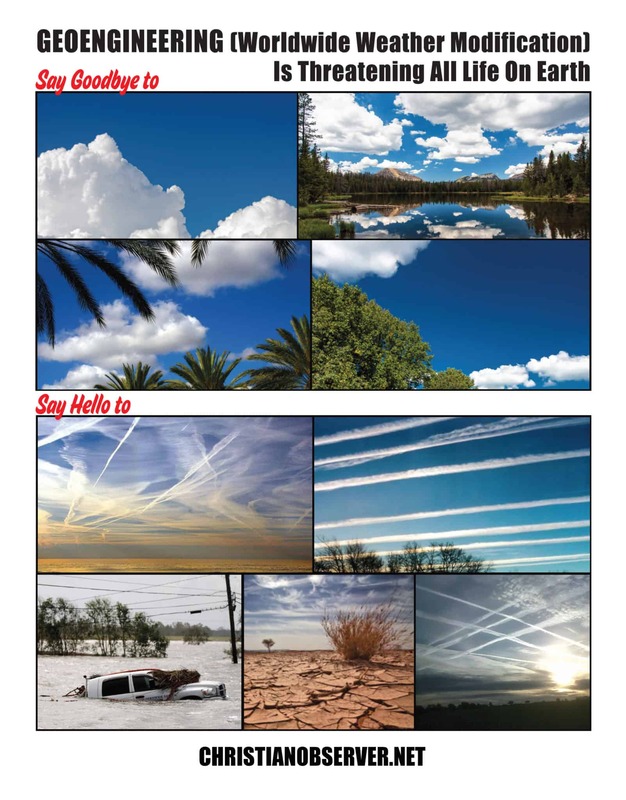 People are largely unaware of, not only chemtrails and EMF dangers, but how these are designed to work together to bring the entire population to its knees. The horrors of communism pale when held against the current agenda of the satanic elite. If that sounds overstated or conspiratorial, you need to do some more research into just who these people are and their own stated goals. Our bodies are under an unprecedented health assault, and, sadly, our medical doctors are largely unaware and ill-equipped to help. *Suzanne Maher and Tony Pantalleresco are doing this work without pay or selling any products. I have tried several of Tony’s protocols. They work. This article was written in collaboration by myself and Gold Star Mother Susan Price on protocols and health solutions. Thank you to Nano Researcher Tony Pantalleresco for his resounding research and dedication to true health solutions and the information shared in this article. The world around us has been altered and redefined surreptitiously through enhanced technology these past few decades, so compartmentalized by the criminal shadow element that hides behind each facet of life with its dark perverse agenda. We are living in dangerous times, there is no doubt about it. Our food, water and air have been weaponized unbeknownst to the majority of the population. The health paradigm has changed. No longer can we go in to see our doctor with complaints of various maladies, wherein they can offer a clear diagnosis and a clear solution. This is unchartered territory. 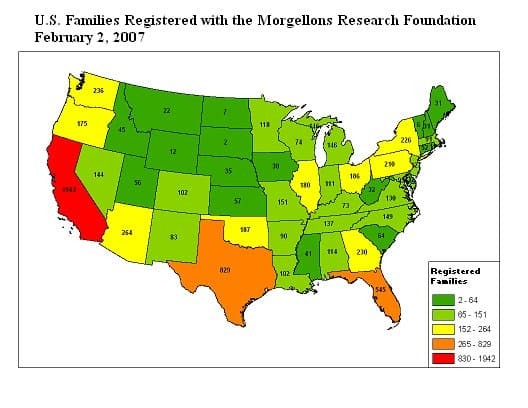 Morgellons Disease/Nano Poisoning, please refer to Part I here. The first step to healing, is the acknowledgement that Morgellons Disease/Nano Poisoning is a TRUE and REAL affliction, and that each and every living soul has some degree of it in their body. These creations of synthetic biology and aerosol crimes called Chemtrails, are present in our toxic food, water and air. This artificial life takes over their host in the many forms of fibers, crystals, bugs, worms, chips, nano bots and other alien matter feeding off our cells, organs and nutrients making the host sick, producing hidden and mysterious health issues. Disease such as Hashimotos, Thyroid disorders, Lyme Disease, increased Asthma, Heart and other health issues are on the rise. This article will focus on the solutions and detoxification of these issues linked to Morgellons Disease. Scientists have created and genetically modified these organisms, surely, science has the remedies. There are many patents already created, readily available to cure all the inequities of an ailing population, yet these healing solutions have been hidden and concealed. Why is that? Dangerous nano technology is ubiquitous. It is in over 2,000 consumer products including dental products, makeup, sunscreen, preservative agents, undergarments, our food stuffs; including organic and genetically modified foods, the list is seemingly endless and this tech is working synergistically together to break us down. 1-50 nanometers of this tech will penetrate everything. 100 nanometers will accumulate, build up on a surface area, initiate an assembly and build a network on a person from top down or bottom up. The smaller the particles are, the more concentrated it becomes. It’s important to note the trinary agenda that has been forced upon humanity without our consent. Geoengineering and chemtrails open us up, genetically modified food stuffs load us up and strip our colon, and frequencies “turn us on”. This is the agenda; Exposure, Integration and Activation of the AI program. This you tube by Defense Expert Jay Tuck shows the fast tracking and dangers to humans from Artificial Intelligence which has been deemed by futurists as a superlative boon to human intelligence, lifestyle and convenience. The insidious and sneaky morphology of this biology is that it can replicate a parasite, a fungus, a bacterium and yes, even Lyme Disease, an illness now growing in epidemic proportions. Tony Pantallersco, herbalist and Nano Researcher states that “99% of Lyme Disease is virtually identical to nano technology under a microscope”. Why are millions upon millions of people now getting rampant auto immune illnesses, cancers, neurological diseases, respiratory failure and simply breaking down and expiring at younger and younger ages? We need to ask ourselves why, and start asking hard questions. How is a health care practitioner able to diagnose an illness with any real accuracy when this biology acts as a mimetic or copy of something else? The answer is; they CANNOT. It is now up to us the people, to become our very own best doctors and to try and accurately determine what is going on in our bodies to the best of our abilities. All bets are off, as nano technology has NO BOUNDARIES and our bodies have NO FIREWALL against this assault. This is one Pandora’s box that has been dangerously and carelessly opened and which we now cannot close. As we begin to learn and understand more and more about this artificial intelligence that is creating a program in our bodies, we have discovered there are protocols to help remove this biology. We MUST mitigate the load coming into us through our diet and detox using various protocols which we will discuss. Please note: Do not be alarmed when you begin to detox you will see many disturbing forms of artificial life being expelled from your body. You can view this as good progress, and you are releasing this toxic biology from your system. You may see multi coloured fibers and carbon nano tubes, these hold the payload which will be released in a person’s body, fullerenes, quantum dots which are semi conductors, crystals, pieces of various metals, origamis which are lattice like structures, even things that may resemble worms, insects and sea microbes, which are mimetics. Remember this technology can morph and turn into many different things, as it finds a place in your body to reside and network. Biofilm, which is a complex swarm of bacteria our body creates as an immunological response to these invaders, will also be used by this tech to grow and network. A hard, virtually impenetrable encasement resembling larvae, this biofilm will use our bodies sugars/proteins to grow a network. Wherever the nano goes so does the biofilm. Biofilm attach itself to any form of synthetic (nano). This is contributing to the destruction our body’s infrastructure and breaking us down. So many are suffering horrendously from this assault and which the medical community continues to rebuff and discredit. These solutions are not a “cure-all” or a panacea. Many of us are incredibly loaded with this biology and it will take time to strengthen a defaced immune system, but these protocols can be a very effective tool to detox your body from the daily loading of this synthetic biology in our bodies. Combine these solutions together; the Anti Nano Bath, Anti Nano Bucket, and Tony’s newly devised Anti Nano Magnetic Triangle and you have a powerhouse trio to battle the ongoing environmental assault. Many are finding great results with a high protein, high saturated fat diet. Lamb, eggs, meat, fowl, yogurt, kefir, butter, cheese, ghee, coconut oil all prove to be very beneficial, as well as fermented foods. Fats help to push the nano technology out of our bodies. Avoid grains which have been stripped and mutated, as has soy. Also avoid sugar. These substances all fuel the program and the synthetic biology feeds off carbon based foods. The word “organic” is now a misnomer. Nothing is organic anymore, not when we are being sprayed with toxic poisons and our food stuffs are laden in these substances. There is nothing natural in about our environment any longer, nothing. If greens and soft skinned fruits are consumed, then it is recommended to juice them with an almond or peanut oil. Blend and skim the oil off the surface where the nano technology will aggregate. Iodine, selenium, zinc, boron, copper, magnesium msm, apple cider vinegar with the mother, probiotics, manuka honey, vitamin c, gelatin, turmeric paste, electrolytes, distilled water, essential oils and oral oil pulling are just a few recommendations to protect health, neural integrity, digestive support, and skeletal structure. Foods like garlic and onions have anti cancer, anti fungal and anti mutagenic properties as well. It’s very important to note AI implants, thoughts, feelings and emotions in us to keep us in some form of lower vibration and we need to recognize this manipulation. Very few of our thoughts are our own. It attempts to either terrorize us with perceived threats, or seduce us with distractions and material goods. The AI program is meant to override our DNA and genetic code to control us. Imagine splicing plant or virus DNA in the cells of your skin, or liver, kidneys or brain. What would the results be like? Does this happen in Morgellons victims? Try and stay in this bath for 30 minutes and have the water quite hot. Have a flashlight handy and you can observe all the fibers floating on top of the bath water that have come out of your body. These salts act as a solvent to pull the fibers out of the body. Multi wave pulsing and EMP stripping is providing wonderful results for those who are using the protocols. You can make these devices yourself, links attached, or Tony Pantalleresco will make them for his clients. Triangles or circular devices like a bucket have been shown to yield the best results rather than direct linear pulsing. The pulsing puts the nano to sleep and it can be removed. Many do these protocols daily. Watch and observe to see how you are feeling and what you are eliminating. This solution is wonderful for not only Morgellons/nano sores, but also for insect bites (bugs bite us and are injecting their protein in us which has nano as well – these are MAV’s or otherwise known as micro air vehicles) cuts, and lesions. This woman’s legs are laden in quantum dots. We are being “smart dusted” with MEMS – micro electro mechanical systems which form a single computer. Quantum dots are nano scale particles of semiconducting material that can be embedded in cells or organisms for various experimental purposes. They are light enough to remain suspended in the air and are used for information gathering. Sprayed on us, put in our food, water, air and injection. They are capable of 24/7 tracking. Using this protocol of brandy or cognac, combined with one or two different essential oils will help excrete the biofilm. The alcohol will act as a solvent and help to disperse the oils. 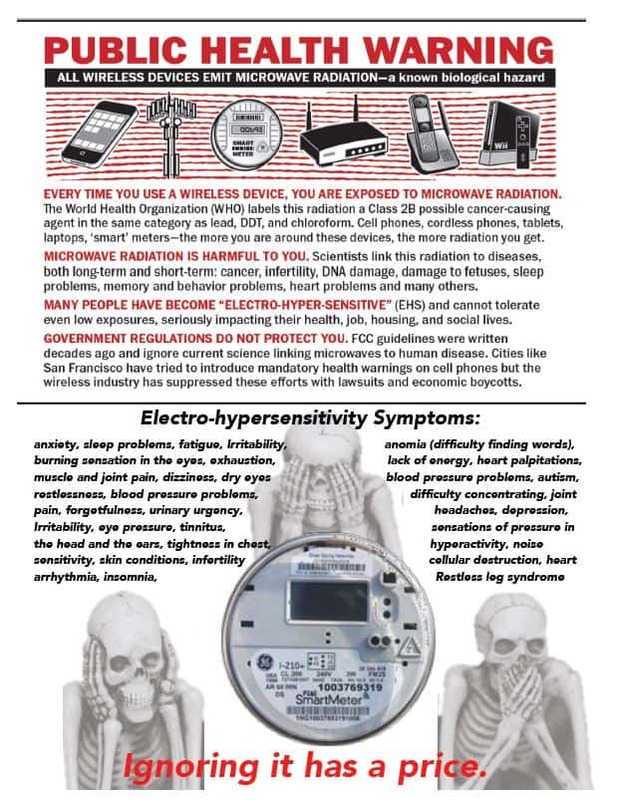 Smart Meters have been shown to have direct causative implications in diabetes, cancer, asthma and high blood pressure. There is no safe level of frequencies and exposure is now 20,000 times greater than 1980 as stated by Dr. Darren Schmidt. 5G has already rolled out in some states in the U.S. It has done so without any health or environmental impact studies. These millimeter waves are used in military crowd control, they induce so much pain you have to run away. These ‘small cell’ antennas will be on lamp posts, utility poles, street lamps, traffic lights and street signs as well as refrigerator-sized “associated power equipment” on sidewalks. We will be walking right through these dangerous ultra high frequency waves. They need 5G frequencies to push forward their AI agenda. Elon Musk states that “If we can effectively merge with AI, improving the neural link between the cortex and the digital extension of yourself, which already exists, it just had a bandwidth issue, you effectively become an AI human symbiote”. 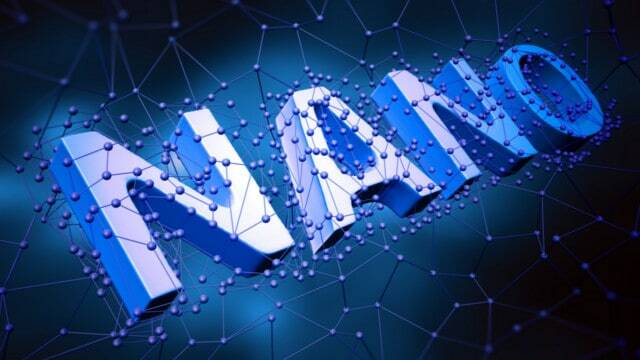 The 5G’s and the nano technology will essentially turn everyone on and integrate a program through the nanobiology. Our health and well being depends on us now taking full personal responsibility for our bodies and removing the toxins we are now exposed to. We no longer live in our parent’s world, or our grandparent’s world of clean air, food and water. But rather, a world besieged by quiet, creeping technology, a gulag of electro magnetic frequencies and silent biowarfare. The 21st century human has been seen fit by globalists to be genetically engineered, manipulated and altered without knowledge or consent. Diet, exercise and our handful of daily vitamins will no longer sustain us in these times; we now live in an AI world and we need AI solutions to survive and thrive. As such, has mankind become a Soulless existence? Where do we draw the line in the sand with political leaders to ensure there are laws and regulations to hold those responsible for the contamination of our lands, water, air, and food? Our future depends on it. We are NOW at the critical precipice of time that will decide our fate as a living, breathing, thinking, feeling human race. 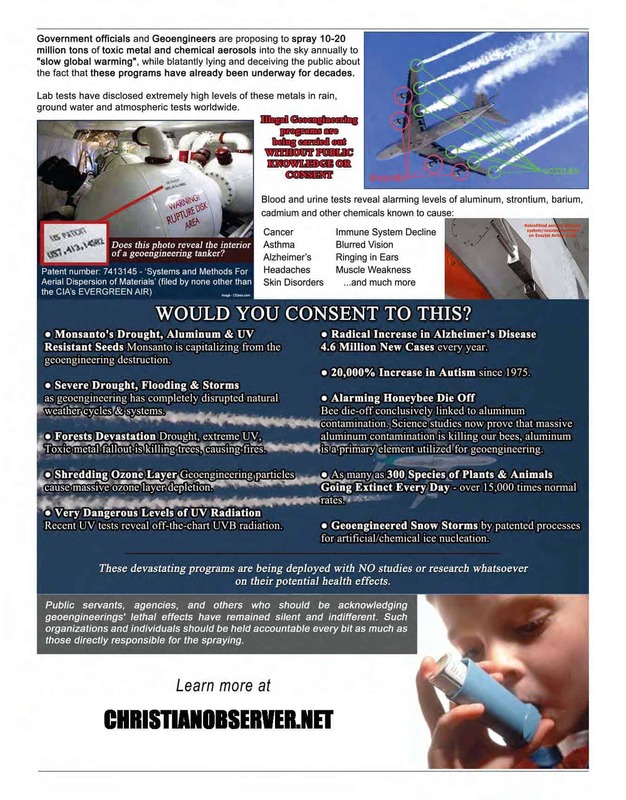 Please get active and involved in creating awareness and letting our officials know WE DO NOT CONSENT to this toxic spraying and genetic manipulation of our world. Jolie Diane of zerogeoengineering.com has created a template for U.S.A., Canada, UK, France, Ireland and Australia, wherein we can all email our officials within our own country using a user-friendly letter; just type in your name and postal code and hit send. It will go directly to your State Representative or MP. We need everyone to participate in this initiative. Our officials will then be forced to respond to our demands of transparency and cessation of these programs.